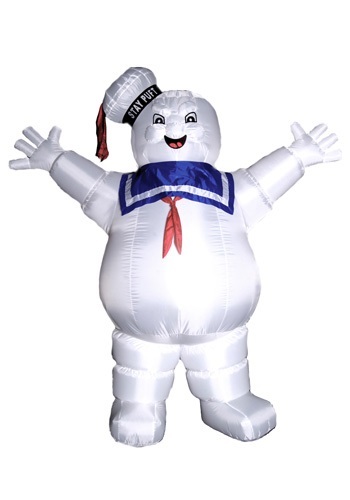 Stay Puft Marshmallow Man is a fictional character from the Ghostbusters. It sometimes appears as a giant lumbering paranormal monster. 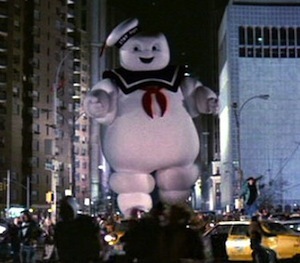 The image of Stay Puft Marshmallow man has become one of the most recognizable characters of the Ghostbusters franchise. He is dressed up like a sailor with a blue traditional sailors’ collar and a red scarf. 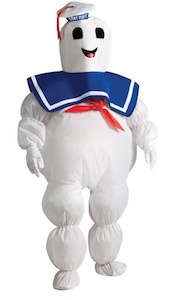 Here are some great costume ideas to dress up as the Stay Puft Costume – Marshmallow Man from Ghostbusters. 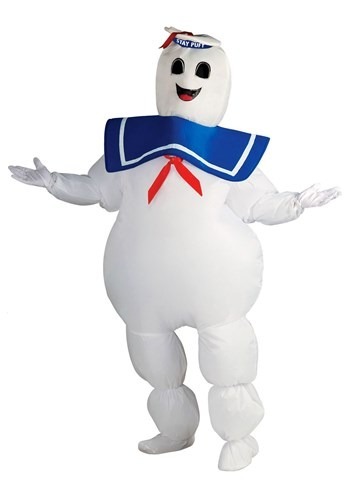 Click here for more Ghostbusters costumes. A white inflatable jumpsuit with a back zipper, this costume has easy elastic to hold around the legs, wrist, and neck to keep the air in. 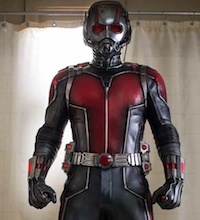 A simple 4AA battery pack helps to inflate the suit, just as if being filled with spiritual energy! The attached red ribbon and iconic headpiece make the outfit complete and, this time, in a reasonable size to deal with! 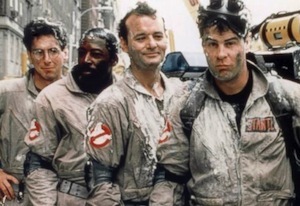 When the Ghostbusters were faced with a choice to choose their own destructor they each tried to keep their minds blank. They thought that if they thought of nothing then nothing could come forth and destroy them. 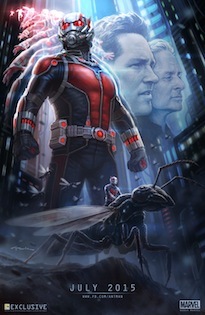 But then something just had to pop into Ray Stantz’s head. He thought he thought of something that would never fight them, someone who would be kind and fun, but he was wrong. The marshmallow man that came was out to get the Ghostbusters but at least they were ready for him! Anybody up for ‘smores? – Inflatable jumpsuit – Battery operated fan – Headpiece – Gloves. Once you wrestle your pup into this outfit, he’ll look like a marshmallowy monstrosity about to turn an entire city into rubble. The only thing that could bring an end to your little doggies reign of terror is a team of paranormal-fighting scientists, and even then the odds won’t be in their favor. It’ll be quite a ruff task to tackle! Just make sure to take advantage of this photo op.